What are the elements that make a watch timeless? Ask Patek Philippe because this Swiss Watch Manufacturer seems to have that department covered. 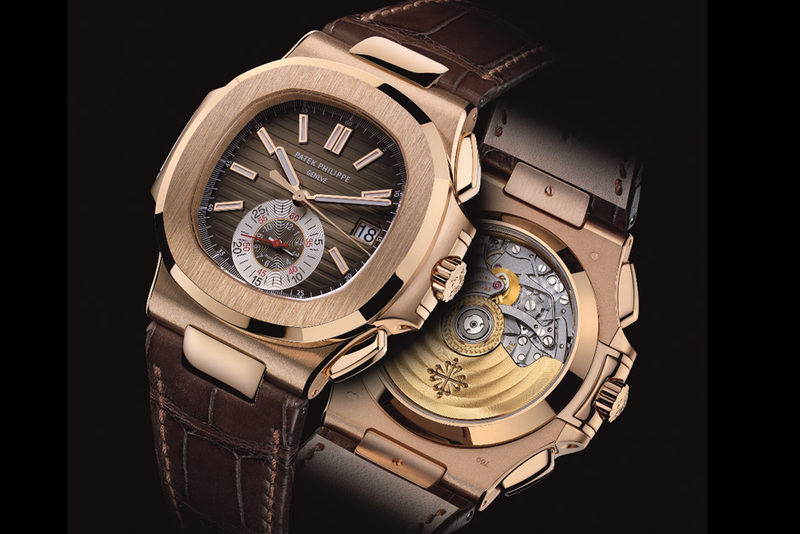 Patek Philippe is rated among all serious watch collectors as the #1 watch brand in the world bar none. Patek is almost obsessive when it comes to the design details and the quality of each and every component that makes up their watches. A sentiment that Patek Philippe shared with the world stated that “You actually never own a Patek Philippe. You merely take care of it for the next generation.” Reveals how the brand views their watches. The Nautilus was released to combat the overwhelming popularity of the first sports watch in stainless steel – the Royal Oak. Right away, the brushed cushioned shaped case was a winner and joined the ranks of many other Patek creations as a bona fide must-have. The Nautilus featured here is crafted from 18kt rose gold but this model is also made in stainless steel. The case carries a diameter of 40.5mm, excluding the bezel lugs. To maintain case symmetry, Patek places a very conservative main crown in the right side bezel lug. This main crown is screw locked enabling the massive water resistance of 120 meters (12 ATM). The chronograph pushers are well spaced, prominent and polished. This Nautilus timepiece is outfitted with a dark brown alligator leather strap, which is secured with a folding clasp made from 18kt rose gold. The dial is also dark brown complementing the strap, and it features a horizontal Cotes de Genève guilloche design. The hands and hour markers are crafted from 18kt rose gold which contrast nicely against the dial. Each of the elements on the dial is coated with lume for nighttime readability. At 6 o’clock is a single counter which displays both the chronograph hours and minutes. The chronograph seconds are indicated using a central hand. A large easy to read date aperture occupies the 3 position. The driving force behind this watch is a self-winding mechanical caliber CH 28-520 C, made completely in house. 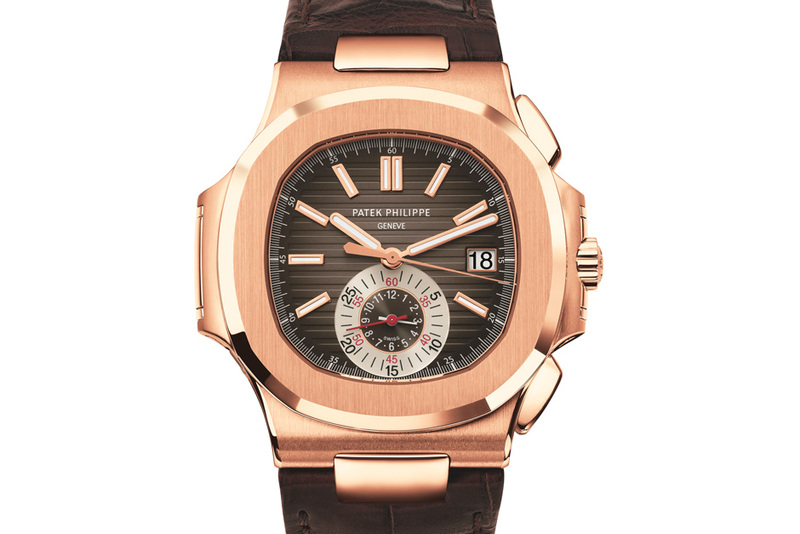 This movement bears the official Patek Philippe seal denoting excellence. The balance wheel is from Gyromax and beats at a constant 28,800 VpH. The movement also carries a minimum of 45 hours of power reserve.